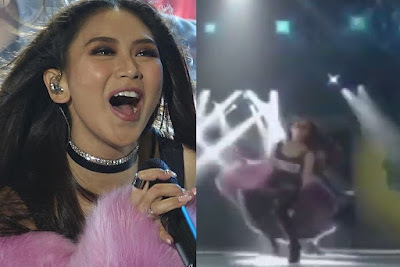 Sarah Geronimo slipped on stage during her birthday performance on 'ASAP' on Sunday, July 23 — but, unsurprisingly, she recovered like a pro. The 'Finally Found Someone' lead actress was singing and dancing to the tune of Little Mix's 'Power' when she accidentally fell out of balance in the middle of her performance. Despite the accident, she was seen embracing the moment, laughing off and got herself back up to continue the performance as if nothing happened.